Although Indigenous Peoples do not consider the principles described herein as being “spiritual,” but rather as simply being the way to live life in balance, I have placed quotes around the word but nonetheless will continue to use it to describe this way of living life that is not mandated per se via an organized collection of precepts. With this in mind, I think of Indigenous spirituality as representing the sacred sense of being significantly interconnected with all things in the universe, both seen and unseen. I contend that such a sensibility can contribute to survival, peace, health and happiness as it did for tens of thousands of years for pre-contact Indigenous Peoples. Surely it makes sense to bring such spirituality into the classroom. For organized religions, doing this can be a challenging endeavor owing to laws and ethics related to the separation of church and state. However, since Indigenous spirituality is generally not considered a religion, teachers may have a less difficult task of incorporating it into their teaching and curricula. Or maybe not. The Indigenous spiritual perspective has long been dismissed, rejected or ridiculed. Ignoring the church-state separation entirely, governments of Canada, the United States, Australia and elsewhere forced the teaching of Christian religions to “Indian” students as a way destroy their ways of life. Even when the boarding school phenomenon ended, educators continued to scoff at or entirely dismiss “primitive superstitions.” Throughout his university teaching career, famed religious studies scholar, Huston Smith, did not include Indigenous spiritual traditions in his classes or publications. When I was a young man I heard a presentation by Dr. Smith in which he offered a heart-rending apology for this and explained how in the first edition of his best-selling text, The Religions of Man, he did not mention them but that in his second edition he added a chapter on “Primal Religions.” (He changed the title of his second edition to The World’s Religions. Perhaps he also became conscious of the feminine movement.) Of course, all of this was in the 1950s and 1960s when American Indian spiritual practices were still illegal and had been since 1892, with codified punishments of six months in jail for participating in ceremonial events and dances were regularly enforced (Prucha, 1990, pp 187-88). Most American Indian ceremonies remained unlawful until the American Indian Religious Freedom Act of 1972. The Sun Dance Ceremony, one of the most sacred spiritual traditions for a number of First Nations, was illegal. As a Lakota Sun Dancer myself, I met an elder who had been imprisoned for Sun Dancing in 1971. Fortunately, the editors of this volume remembered to include “primal religions” and asked me to write about how the traditions of Indigenous Peoples might be infused into schooling to help young people “flourish.” I am especially honored to do this because it comes on the heels of having just published a text designed to bring Indigenous perspectives and curricula into mainstream schools (Four Arrows, 2013). In it I present teaching and learning strategies for specific courses that can be used to counter-balance mainstream hegemonic teaching standards and pedagogies. For this chapter, however, I have a different opportunity, one that allows me to more directly refer to Indigenous spiritual principles and how they can help students move toward developing abilities to survive in the world; be healthy; work toward maintaining peaceful relationships and be truly happy, basic aspects of what it means to flourish. I give thanks for this opportunity. I have chosen these seven principles from my own sense of what are the most important mandates common to most Indigenous Peoples I have studied over the years. I do not generally validate my claims here by citing others as I have done for decades in other publications, not because these seven principles and what I have to say about them are all original, but rather because I doubt if any of them are. My words are the fruits of many years of reflection on all that I have learned about the Indigenous worldview, both from others and from my experience and reflections. At this point in my career, attempting to give an attribution for my conclusions would be near impossible. It is typical for an Indigenous writer to give attribution to himself and his clan, however. This may be because our only real “authority,” comes from who we are and from our honest reflections on our lived experiences. As for myself, my fully assimilated part Cherokee mother raised me without giving merit to my ancestry in order to protect me from that which she and her family suffered. Eventually being chagrinned with things told me after Viet Nam and a stint in the Marines, I had a special encounter with a remote group of Raramuri Indians in Mexico and did a doctoral dissertation about differences in worldviews between their perspectives and those of the typical Western ones (Jacobs, 1998). Immediately after the doctorate, I went to live and work on the Pine Ridge Indian Reservation as Dean of Oglala Lakota College’s Education Department. There I completed my four Sun Dance vows with the Medicine Horse group led by Rick Two Dogs. 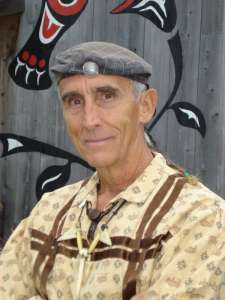 Later, I had close relationships with with Navajo and Seri People as well, and continued to write numerous books and articles about contemporary applications of the “Indigenous Perspective.” None of this biographical introduction proves that what I generalize about vastly different tribal cultures is true, and I make no claim that my brothers and sisters will agree with my seven choices. I am confident, however, that most would recognize something true in each of my declarations. For the remainder of the paper, I describe each of the seven principles as succinctly as I can so that teachers will seriously consider bringing them into their classrooms, one way or another. Everything is connected and equal in significance and in deserving respect. Ceremony is vital for internalizing the Most Important Values. Place and its inhabitants are sacred. Complementarity is essential for a balanced life. Generosity and Courage are preeminent virtues. The highest authority comes from honest reflection on lived experience. Most people see Indigenous prayers, ceremonies and beliefs about the invisible world to be a form of spirituality according to their own definitions and I have mentioned that Indigenous Peoples themselves generally do not think of these things as being other than pathways to a balanced life. They certainly do not see them as being “religious.” And although it is true devotees of some religions live each day in accordance with their religion, it is the religion’s authority that drives behaviors. Indigenous spirituality, however, is so interwoven into every aspect of life that the only possible inference to the idea of following mandates from some organizing set of rules would be if we project Nature herself as the religion and the manifestations of Nature in the living and breathing world as the “Bible.” This is why traditionally minded Indigenous People do not think of their spirituality as spirituality nor as a religion per se. I’ve studied Raramuri, Navajo, Lakota and Seri languages a bit and as far as I know there is no word in them “religion” or “spiritual.” There are no supplications to a deity, although there is respect for a multitude of “gods” in various cultures. A threatening fear-based reference to punishments or rewards in the afterlife does not hold sway. Even though the people have a number of beliefs about after life, such as possibly returning as a ghost until one rectifies misdeeds, such ideas remain tied to a respect for the mystery of it all that precludes getting too excited about any of it. Judgments about life relate to how well one lives in balance, practicing those virtues that support all relations and serve the greater good. Indigenous Peoples who still adhere to the old ways do make sacrificial offerings routinely. For example, before taking berries from a bush, giving the bush a strand of one’s hair or some tobacco gives recognition to the exchange as being sacred and serves as a reminder of the delicate balance involved in such exchanges. Similarly, prayers are offered regularly as well, but not as a vehicle for asking some entity for assistance with some matter of extreme urgency or unusual importance. Rather, prayers are understood as the vibratory exchange of words, thoughts or songs with the normal relationships of every day living. If a man is to go fishing, prayers that recognize the possible gift of a fish to the man are sent out to the fish, not to a supreme being, and not so much to assure success in the venture, as this is understood more to be a matter of skill and fate, but to honor the importance of the relationship of the eater and the eaten. If someone catches a fish, they offer prayers of thanks, not in the direction of the sky, but directly to the essence of the fish itself as a brother or sister. This idea of life being one’s religion is thus played out with a sense of awe about life’s daily happenings. The rising of the sun and the movement of the stars remain a magical aspect of the great mysterious forces of the cosmos in the same way as observing a baby’s laughter or an ant’s struggle to carry away a morsel of food. So daily ceremonies in honor of the sun and stars make sense. Similar respect for friends as well as for enemies exists as an intentional component of living life, and is regarded with the same sense of sacredness others would attribute to their God. A major aspect of seeing life as religion has to do with accepting that humans cannot come close to knowing everything about the supernatural world, themselves or Nature. The words for what others might call “God” in most Indigenous languages can be translated as relating to “Great Mysterious,” as with the Lakota word, Wakan Tanka, which represents the idea of “The Great Mysterious All.” Using this word is rare, as it does not make much sense to talk about such a sacred mystery. What could one possibly say? Instead, terms like “Grandfather” (Tunkasila) are used to refer to expressions of this great mysterious in life, whether referring to a wind, the four directions or a frog. One can still give homage to whatever creative spirit exists by honoring that which connects us to it. One last idea about this principle relates to the concept of humor. Instead of relying upon an external set of rules put forth by one who spoke directly to God about how to assure a place in “heaven,” Indigenous Peoples have relied upon a deep sense of humor about life for explanations and for tolerating the suffering that is inevitably a part of life. In the face of tragedy, and certain Indigenous Peoples have had and are having their share, finding the beauty all around is possible when one is able to tell a joke or see the humor in it all. I won’t expand on this here but felt it to be an important aspect of this principle. (2) Everything is connected and equal in significance and in deserving respect. Without this realization it is too easy for people to not see others as equal in significance and in deserving respect in the same ways we may see friends or family. This principle emerged from many generations of observing the connectedness within the natural world. Respect for diversity and the cooperation, no matter how indirect, required for maintaining healthy systems became an obvious part of life. Astute observations of the movement of starts and related phenomenon on earth added to this realization. It also created a non-anthropocentric worldview, one that does not see humans as superior to other life forms and destined to control all life forms, a notion that even unconsciously we may have learned from what the Book of Genesis calls man’s “dominion over…everything that creepeth upon the earth.” How often have you considered a cockroach, a mouse, a snake or a blue jay as being equal to an esteemed friend, close relation or to a human celebrity? Yet this idea of seeing everything, including rocks, rivers, trees and insects as “People” worthy of equal respect and significance is the bedrock of Indigenous spirituality. It is sort of an animistic perspective that sees what others might call “the divine” in everything. It helps understand the role of the clan system in Indigenous spiritual life and why clans are named for animals and plants that serve to teach their wisdom and assure continued respect for them. If peace is to be achieved again on Earth (See Principle 7 for more on this idea of “again”), or even if we are to survive as a species, I believe the absence of this anthropocentric hierarchy of superiority is essential. Once we are able to look down on one creature that is different with respect, we set into motion the ability to look down on all with equal respect. Only then can we honestly respond to the other in ways that are appropriately weighed via the great virtues and laws of the natural world. (3) Ceremony is vital for internalizing the Most Important Values. Ceremonies are especially important in Indigenous cultures. Costumes, dancing, singing and drumming allow everyone to fully participate deeply in celebrating life’s interconnectedness. Events like coming to age, making a relative, healing, recognizing great and small cycles in nature, honoring stories that connect past, present and future, etc., are the subjects of such ceremonies. They intend to maintain, deepen and pass on cultural wisdom in ways that internalize the images so that the lessons and celebrations are reflecting in daily life. My experience over the years has led me to believe that our Indigenous ancestors understood the trance-inducing power of ceremony to achieve this internalizing. Through dance, song, meditation, repetitive acts, and strong imagery associated with matters of great importance, alternative consciousness hypnotizes participants in a sense that allows for the ceremonial lessons to become an automatic part of one’s daily life. Story-telling, which I also think of as a ceremony, also helps with this continual relearning of important values, but it also allows for critical reflection. Coyote stories, for example, constantly reveal how easy it is for us to fall out of balance. Interactive story-telling, truly a part of the Indigenous spirituality, involves cognitive questioning about which aspects of the teachings are still applicable and which would if modified benefit the ever-changing community, but it also allows for the imagination to change brain waves into those that allow for transformative internalization of wisdom. (4) Place and its inhabitants are sacred. Since everything is intimately connected in the Indigenous way of understanding the relationships between the supernatural, Nature and humans, each of these principles flow into one another and cover common ground as well. However, the concept of interconnectedness alone is not sufficient for comprehending the importance of a particular place in the “spiritual” daily life of traditional Indigenous cultures. The very concept, “indigenous” (small “i”) means to belong to a place. Most First Nation’s creation stories refer to having been in the place of one’s ancestors since time immemorial. They speak geographic features as having been mystically created just before or after certain animals or mythical representations of various energies like thunder and lightening. Myths describe the animal, plant and marine life of the particular environment in ways that make them as sacred as the mountain peaks, rivers and valley. The stories of each reveal important life-giving realities that have allowed the People (which includes all sentient beings) to survive and thrive for millennia. As a result of such thinking about the power inherent in place, Indigenous spiritual beliefs leave no option but to live in harmony with one’s surroundings. It does not require an environmental ethic per se because one’s environment is inherent in oneself. Each creature and each feature of the landscape has its own intrinsic value and right to a healthy existence. The reciprocal relationships between humans and the all of place make the idea of dominion absurd and even the idea of stewardship falls short of realizing such a perspective. It is more like the relationship between a fish and the water. The exchange of activities is of mutual necessity. (5) Complementarity is essential for a balanced life. This oneness-oriented reciprocal relationship between place and humans and animals within an interconnected universe requires complementarity. One way I like to describe complementarity is by referring to the twin hero myths of various cultures. In the stories that largely form European mythological underpinnings, twin heroes such as Prometheus and Epimetheus, Castor and Pollux, Romulus and Remus, Arthur and Merlin, Faust and Mephistopheles, Hercules and Iphiceles, Cain and Able, Jacob and Essau, etc. represent two principle and somewhat opposing energies. One can be thought of as “solar,” meaning direct, aggressive, logical, etc. One is “lunar,” or indirect, passive, reflective, etc. In the examples above from Western cultures, the solar twin dominates, even sometimes kills the lunar twin. I think we now live in a world that is split into a solar dominated life. However, in the Indigenous twin hero stories from around the world, twins still represent the different forces, but cooperation and collaboration are the primary lesson/outcome of the myth. The twins of Indigenous mythology represent a force of complementary dynamics between the symbolic characteristics of the Sun and Moon, a cosmic dialogue in which cooperation for the benefit of all is paramount. Such complementarity shows up in the relationships between men and women in both worldviews. The subjugation of and violence against women is well known in the Western worldviews. In Indigenous cultures, however, women are honored to a high degree. In Lakota inipi (purification) ceremonies, women traditionally did not participate as they do now because they already knew how to purify, to nurture and to transform, whereas men needed to do more work to do these things. (This idea continues in very traditional groups and in our Sun Dances where women do not pierce.) The balance in life’s responsibilities was maintained by the unique albeit exchangeable roles of men and women. An Oglala elder once told me that only men could vote to go to war, but they would not go without new moccasins and the women could choose whether or not to make them. Whether or not this was true is not as important as the understanding of how an authentic sense of cooperation and complementarity are seen as vital aspects of living in accordance with the laws of Nature. Interestingly, with dominant cultures now representing a solar dynamic with loss of the lunar and Indigenous cultures holding on to their lunar having lost the solar, the idea of a partnership between the two principle worldviews may be just what the future orders for people to flourish again. (6) Generosity and Courage are preeminent virtues. Traditional Indigenous communities in the past and today reveal the truth of this principle in ways that stand apart from what we typically see in more contemporary metropolitan societies. The spiritual ideas conveyed about interconnectedness, respect and complementarity coupled with a deep realization that living according to these is never easy has led to the stamping of these two virtues into the Indigenous heart and mind. Historically, our Indigenous Peoples evolved gift economies where natural empathy and generosity alone were enough to prevent any neighbor from falling into poverty. In battle, acts of bravery, like simply touching an armed enemy, were much more revered than actions that were merely successful in killing someone. Courage has been understood as a prerequisite for all the great virtues, including truthfulness, humility, patience, fortitude and generosity- traits that are remarkably descriptive of the character of Indigenous Peoples who have managed to hang on to their traditional beliefs. Moreoever, the highest expression of courage is a full and unmitigated spirit of generosity. I have witnessed a Seri father teaching a young child to give away her most cherished possessions to those most benefitting, and while watching I realized the courage it took for the youngster to do so without resentment. Imagine giving away your most prized possession and see if courage is not involved! (7) The highest authority comes from honest reflection on lived experience. In spite of the kinds of tribal governments that have been imposed on Indigenous Peoples by their conquerors, a resistance external authority for living life seems to be a spiritual principle as well. Any spirituality based on superiority, dominion, rigid rules and punishments from on high for breaking them just does not make sense in a Nature-based reality. For many generations before militarism and colonization, basic survival was the ultimate reason to live in accord with one’s highest potential. No authority save honest reflection on one’s engagements with reality was more worthy of leading to survival, and the same logic was applied to flourishing. Others who had relevant experiences you did not possess and others who had unique reflections on the meaning of similar experiences were very important to heed, but they did not dictate. “Leadership” in tribes relied upon such advice, as that from medicine people or those especially experienced in an upcoming project, but each person was free to make his own choice. Ultimately, leadership was by authentic consensus Reaching consensus was not so much everyone agreeing, but was when after long and patient dialogue, even the disagreeing people came to truly understand at least the other side, even if their preference was otherwise. In the same way I think that not seeing humans as superior to animals, even if unconsciously, helps mitigate violence and injustice, I think not giving authority to individuals contributes as well to a more peaceful and justice society. Without giving complete authority to a preacher, teacher, peddler, father, lawyer, scientist or government for how to direct our lives, we are likely to direct them better in most cases if we merely listen to these authoritarian perspectives respectfully and honestly reflect on how the outcomes of our previous experience might relate. Would young adults have gone to kill people in Iraq had they had such a disposition? Would every life system on Earth now be at a tipping point? In summary, I hope it is understood that my selection of these seven principles cannot fully synthesize the multiple and deep “spiritual” assumptions of all the world’s Indigenous Peoples. However, I am convinced it fairly represents some of the most important beliefs of many cultures, then and now, that can be shared in all educational arenas if one dares. For every classroom-based goal, from assuring safe and respectful behaviors to learning arithmetic or world history, I implore teachers to treat these seven principles as being somehow mystical. Explore how each can connect your curriculum and individual lesson to the great mysteries about life that each student uniquely contributes to and is part of. Point out that the ultimate importance of schooling is not about the curriculum standard or getting a grade, but about learning that really does impact every day life. One might even remind students of the old cliché saying each moment may be our last. You can do this without scaring them into negative escapism. You can use this cliché to encourage positive, healthy and joyful pursuits that are in alignment with their natural sense of belonging, generosity, independence, and mastery. Follow your intuition and honest reflections on experience so you can realistically make things relevant to the students’ lives. Tell them that to let a moment’s negativity be their last act on Earth instead of having realized or acted on some recognition of the beauty and potential joyfulness would be an unnecessary tragedy. Teach that each student’s chance to express their full, positive, mental, physical, and creative potentiality is the ultimate meaning of the cycle we call life and death. I am not an authority on the world’s religions, but it seems to me that recommendations for taking care of nature, being generous and honest, staying healthy, etc. can be found somewhere in the writings of all religions. Certainly “the golden rule” can be found somewhere in all of the original teachings of the founders. Whether this is because most major religions may stem, more or less directly, from primal beginnings or whether the intuited wisdom of the founders tapped into the great laws of Nature, I do not know. What is important is that such teachings find their ways into classrooms in whatever manner and from whatever tradition will best resonate with teachers, students and parents. Ultimately, I wonder if it is even necessary to attribute wisdom such as that embraced by the seven principles described here, or the precepts of any other traditional wisdom, to a particular culture, religion or practice. Perhaps instructions for learning to live life in balance and harmony can only come from our deep and honest reflections on life. This may be the only source of authority we truly need and may be the most vital reminder this chapter offers. Indigenous spirituality, which explains the remarkable resilience of Indigenous Peoples, demonstrates, “an enthusiasm for living, a readiness to celebrate it as it is, a will to survive and pass the baton of life to the next generation” (Stockton, 1995, pp 77-78). Leavit, George C. 1977. “The Frequency of Warfare: An evolutional Perspective” in Sociological Inquire, 47. Pp 49-58. Stockton, Eric. 1995. The Aboriginal Gift: Spirituality for a Nation. Alexandria, NSW: Millennium Books. Van der Dennen, Johan, M.G. 1990. The Origin of War. Netherlands: Spring-Netherlands. Respect – Everything is connected and equal in significance and in deserving respect. Rights – Ceremony is vital for internalizing the Most Important Values. Reform – Place and its inhabitants are sacred. Reciprocity – Complementarity is essential for a balanced life. Responsibility – Generosity and Courage are preeminent virtues. Reparations – The highest authority comes from honest reflection on lived experience.